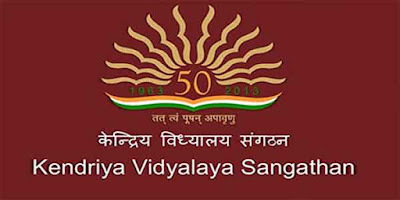 Candidate should download the application form from Vidyalaya Website www.kv23brd.com Candidates are required to bring the application form duly filled in along with attested copies of education qualifications testimonials of all exam passed for all years/CTET Passed certificate wherever applicable at the time of interview. Candidates will also have to bring along original certificates of educational qualification. No TA/DA will be paid. Remuneration as per KVS norms. All candidates must report at 7.30 a.m. sharp for checking of documents. This information is being published on “The Tribune Newspaper Published on 6th Feb. 2019. We also took the information related to this KVS Chandigarh Recruitment from that notification only. Education: Post Graduation in concerned subject with 50% marks and B.Ed. Education-B.E./B.Tech (CS/ IT/M.Sc. (C.S. )/MCA or equivalent qualification as per KVS norms. Education: Graduate with 50% marks in concerned subject as well as aggregate and B.Ed. Candidate who have passed CTET conducted by CBSE will be given preference. Education: Graduate with 50% marks with any two of the following History, Geography, Economics, Political Science of which one must be either History or Geography and B.Ed. Candidates who have passed CTET conducted by CBSE will be given preference. Education: Senior Secondary school certificate or Intermediate with 50% marks/JBT or Equivalent qualification as per KVS norms. Candidates who have passed CTET conducted by CBSE will be given preference. Education: B.E./B.Tech. (Computer Science)/B.C.A./M.C.A./M.Sc. (Computer Science)/M.Sc. (Electronic with Computer Science component)/M.Sc.(IT)/B.Sc. (Computer Science) or any other equivalent qualification as per KVS norms. Education: Bachelor Degree in Physical Education or equivalent, NIS/SAI Coach certificate. Education: (i) Graduation in any subject (ii) One year training in Yoga from recognised institution.